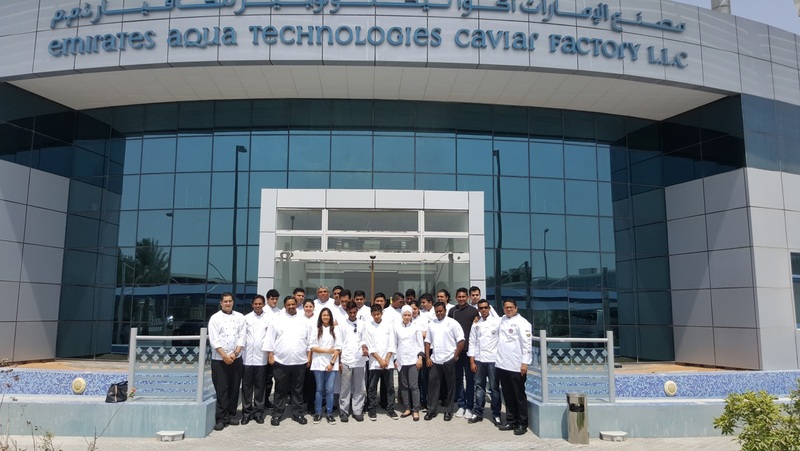 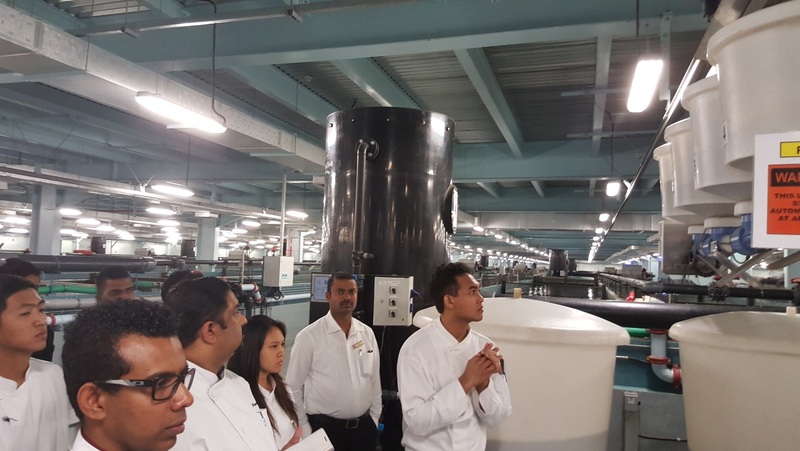 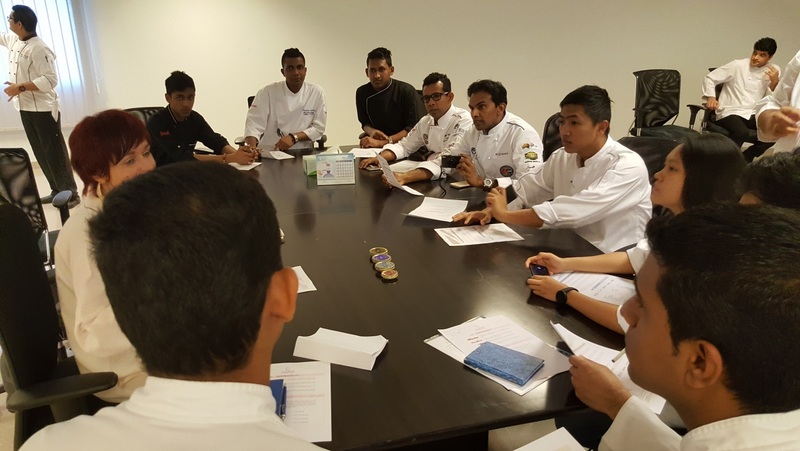 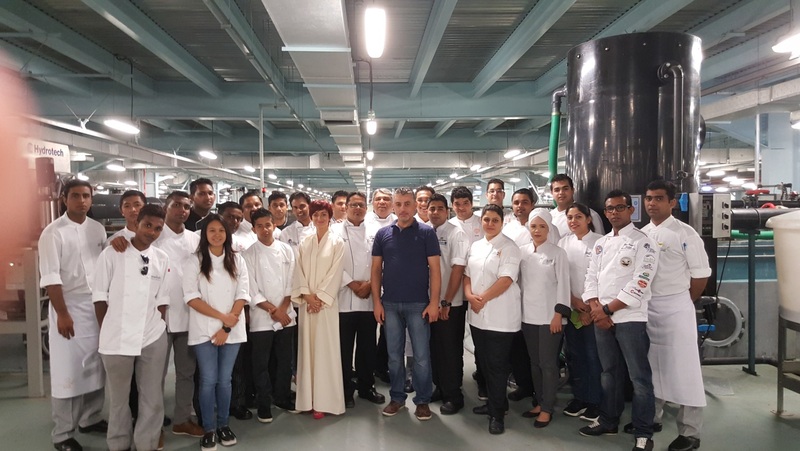 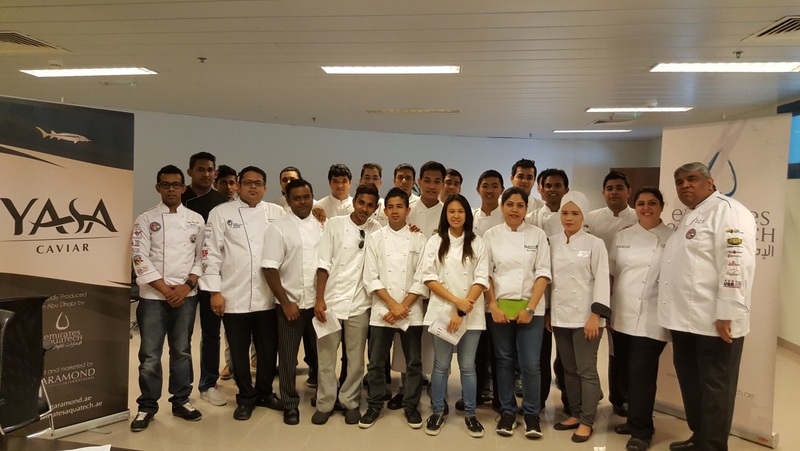 As a part of continuous improvement and learning the Emirates Culinary Guild young chef club organises a field visit to Emirates Aquatech ;in order for young chefs to be acquainted with caviar farming . 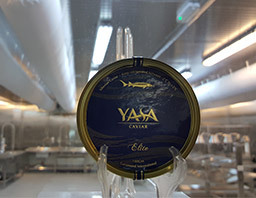 Based in Abu Dhabi ; the capital of U.A.E ; this is a 56,000 sq. 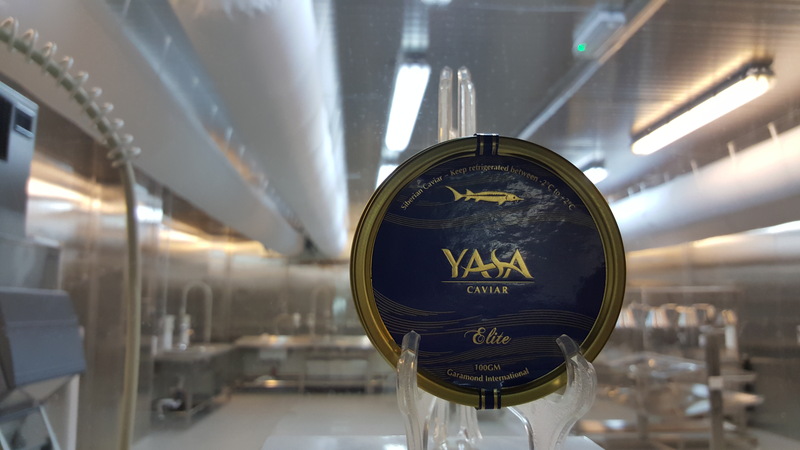 meter aquaculture farm, the largest in the world that specialises in production of high-quality siberian caviar as well a sturgeon meat all year round. 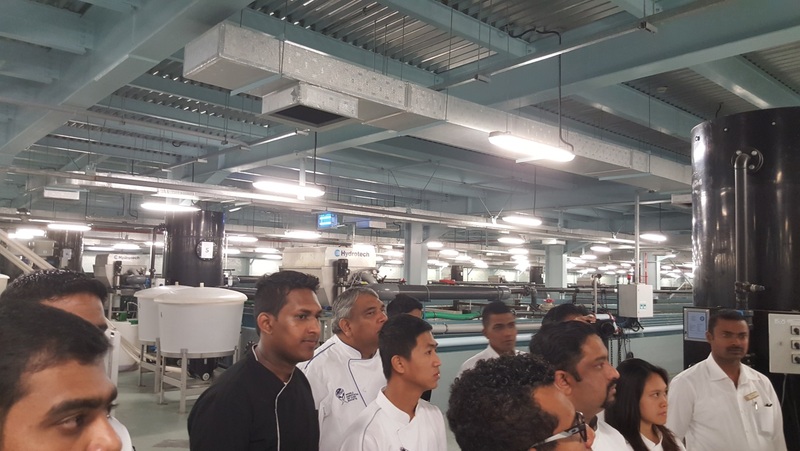 With emphasis of modern technology ; automated feeding system ; temperature control and sustainability ; this farm gave great insights to our young chefs about the life cycle of the sturgeon and the scientific method of caviar extraction .